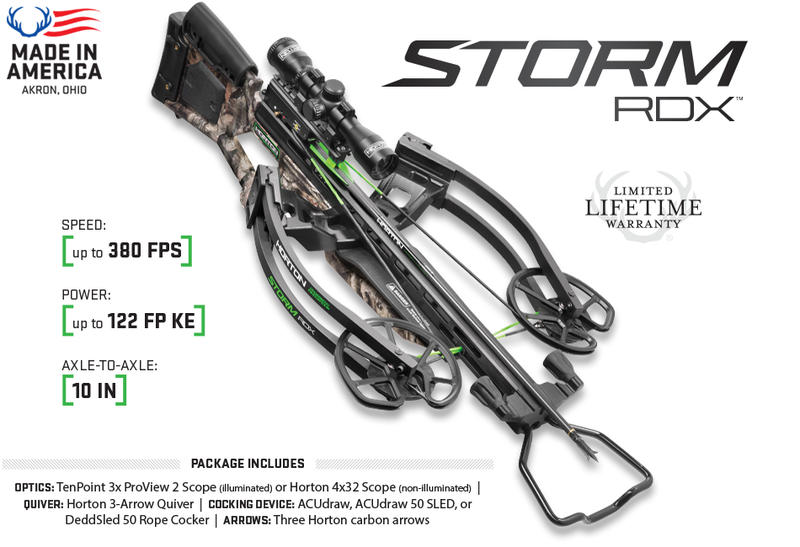 The Storm RDX lives up to the Horton Crossbow name. 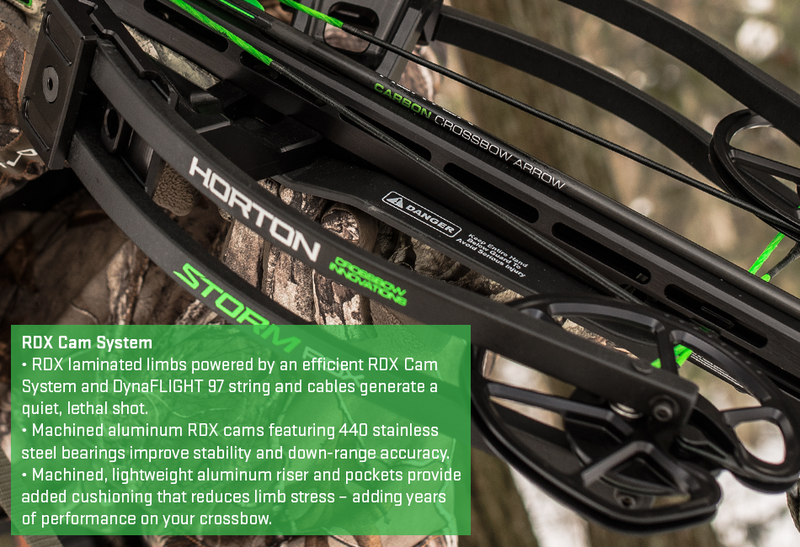 With bloodlines rooted in the elite quality, durability, and performance TenPoint owners have come to expect, Horton crossbows feature precision-engineered reverse-draw technology designed for superior balance and efficiency to seize your season -defining moment. The Perfect Storm of Adrenaline and Precision. 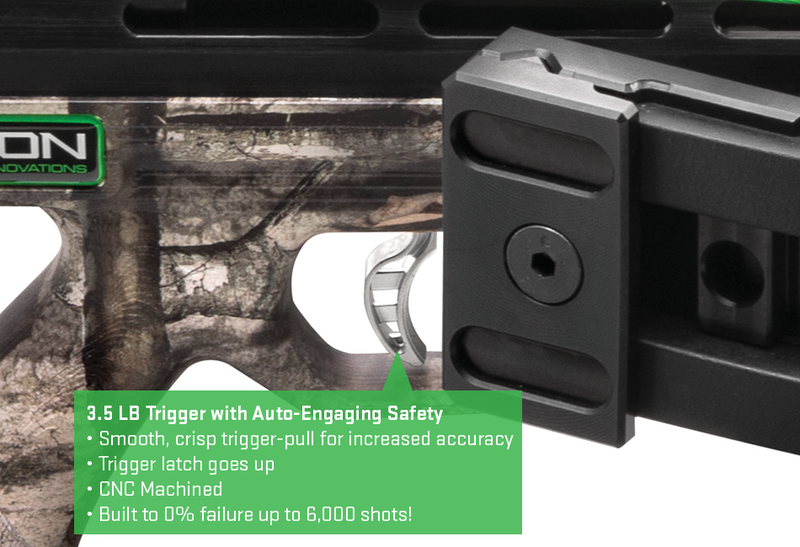 Winner of the Outdoor Life and Petersen`s Hunting Editor`s Choice awards, the Storm RDX is an adrenaline-fueled machine built for the hunter who refuses to be fenced in by convention.